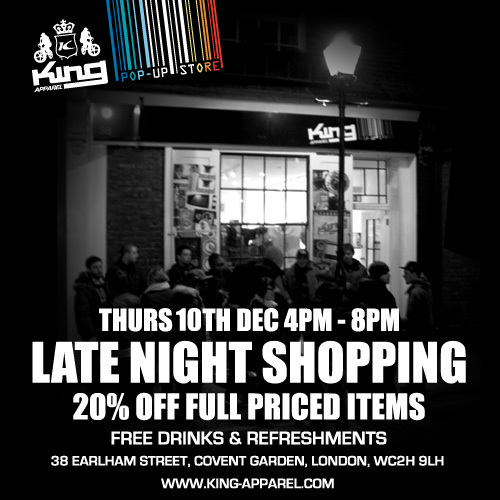 This Thursday (10th Dec) King Apparel are offering us 20% off most, if not all full priced items in the King pop up store in Covent Garden. On the day the lovely people over at King will be providing free drinks and refreshments which is very nice of them indeed. The flyer’s got all the info you need to know, but if you fancy checking out what King Apparel will have to offer on the day/night peep their site.